Heather graduated from Colorado State University in December 1999 with a Bachelors of Fine Arts in Drawing and Fibers where she received the Creative and Performing Arts Award. She moved to Boston in spring of 2000 after being hired as a Flight Attendant for American Airlines. Heather is a Boston Redevelopment Authority Certified Artist and in 2009 she completed the Boston Arts & Business Council Artist Professional Toolbox course. Heather’s work had consisted primarily of figure drawings with Cattle Markers (large oil sticks used to mark livestock). She enjoyed working in this medium because she could work aggressively with large expressive mark making. 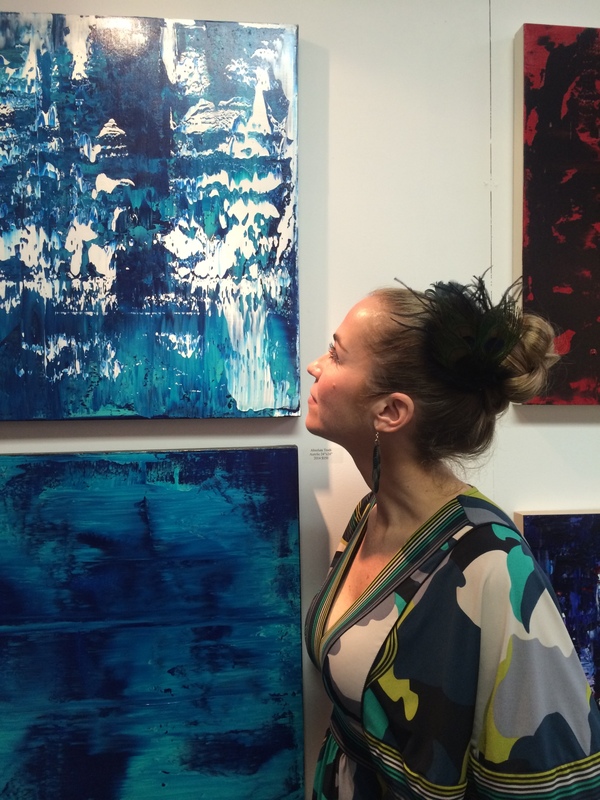 In 2011 Heather did a residency at the Contemporary Artist Center in New York where she began abstract drawings. Upon return to her studio she began working on a collection of abstract paintings which made her realize just how much she missed painting. 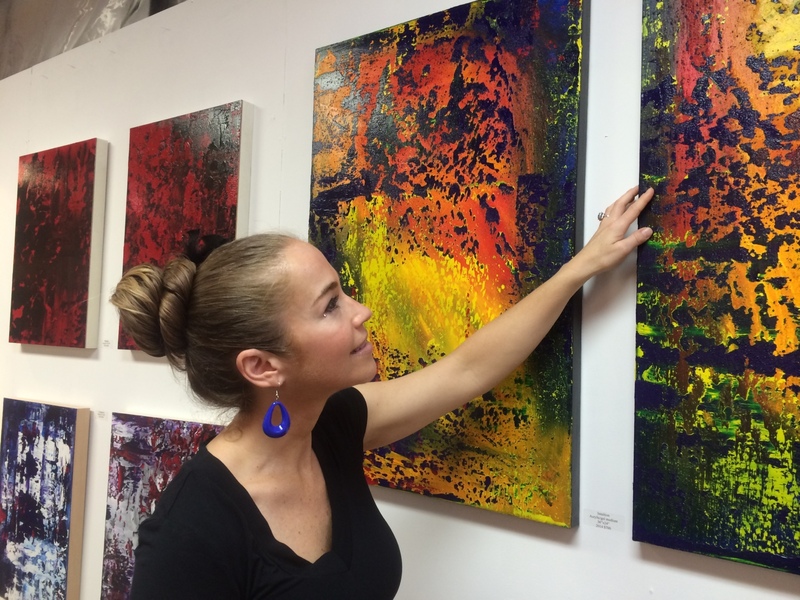 Since then she has continued working in abstract painting space, focusing specifically on the intersection between spirituality and the state of one's mind and presence. Heather’s work is held in private collections in Massachusetts, Rhode Island, Colorado, Alaska, Washington, California, Vermont, Iowa, New Hampshire, and Italy. In 2006 Boston’s Mayor Thomas Menino awarded one of her Buddha drawings to the Rocky Neck Art Colony in Gloucester MA. 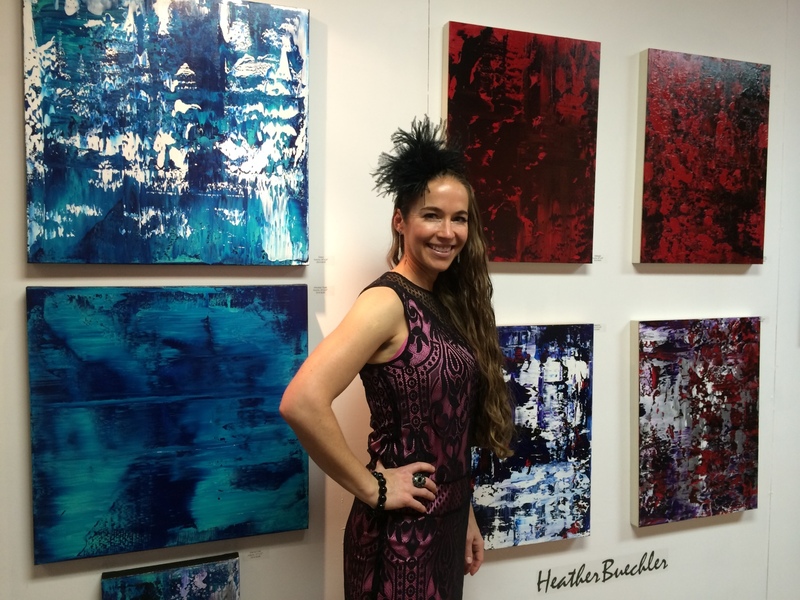 Heather has had solo shows at Gallery @ Spencer Lofts, Gallery Dupree, Out of the Blue Gallery, and Classic Gallery in Boston. Other solo shows include Colorado State University and the Narrows Center for the Arts in Fall River MA. Her work has been included in group shows at LOFI Artist Gallery and Poudre Valley Artist Gallery in Colorado as well as Boston City Hall Gallery and Bernard Toale Gallery in Boston. Other group exhibitions include Modern Eden Gallery, SOMArt’s Cultural Center, Triptych Cafe and Hotel Triton Gallery in San Francisco as well as HUD Gallery in Ventura, California. Heather’s work can be described as vibrant and expressive and her diverse body of work demonstrates a broad range of talent across mediums. Keep an eye out for this artist with unique artistic vision and love for her craft.